The music of experimental pop trio COLOR WAR traces heart strings from the ecstasy of new love through clouds of heartbreak and loss. Alternating between haunting and euphoric, songwriter Lindsay Mound’s cryptic lyrics and gauzy, multi-dimensional voice expose a vulnerable look at our own emotional narrative. With the success of singles “Shapeshifting” (featuring the spellbinding video by Crystal Moselle) "Obelisk" and “SOS”, COLOR WAR forged an immersive artistic universe: articulated beats, warm synths and bursts of ambient noise lay the foundation for this transported yet familiar world. 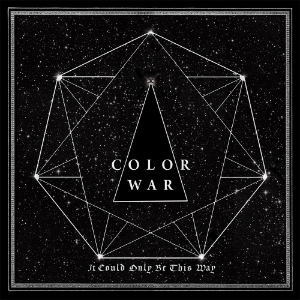 Mound and producer/songwriter Justin William Lin met in mid-2000s New York, later forming COLOR WAR and releasing their LP It Could Only Be This Way (4 Horsemen Records) in 2014. Longtime collaborator Brandon Sciarrotta is now the official third, providing sonic manipulations and cascading texture to their new recorded material.